The kits are gone for now. I anticipate having units available in the fall 2019. Click here for details. This page describes a low cost Thunderbolt monitor kit based on the original, widely deployed and shamelessly copied Thunderbolt Monitor described on this site. Note: after July 30th 2017, the Thunderbolt GPS receiver will report the wrong date. It is not a Thunderbolt problem per se, even though it could have been handled better, it is directly related to an issue with the GPS system. Please see at the bottom of this page for information about the GPS Week Rollover and how to deal with it. Compared with the previous kit, the PWB has been modified to support additional functionality. There are more IOs available on headers, including analog inputs that can be used for temperature monitoring with cheap thermistors, and outputs to directly interface with inexpensive relay modules from eBay for features like the alarms. For applications where the Thunderbolt Monitor kit cannot be located close to the Thunderbolt receiver itself, an optional XBee transceiver could be used to wirelessly carry the TSIP data between the two. The voltage regulators are now heat sunk to large PWB planes, so the kit can be operated from 12V safely even with the WiFi module over long periods. 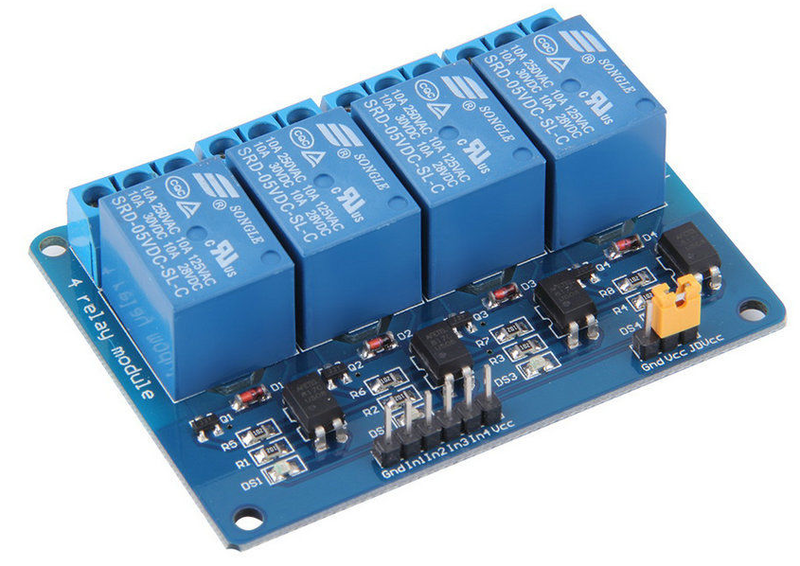 The maximum supply voltage is still 16V (due to the voltage rating of the regulators and decoupling capacitors) and it is not recommended to operate the module over long periods with more than 12V to ensure proper derating. The pulse stretcher, useful for those wanting to use NTP is still there, now able to work from higher impedance sources (the original kit only worked with the very low output impedance of the Thunderbolt's PPS output). The PWB size is 3.8" x 2.5". I also offer a WiFi module as an option for $25, or about half the cost of the WiFly used on the previous kit. 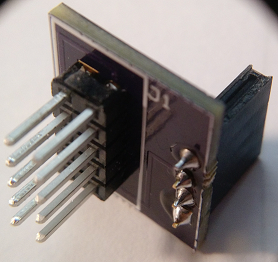 This is not the common ESP8266 module which has too many limitations in its current iteration. The module I selected has a full TCP/IP stack and supports SoftAP setup. By using a larger (and cheaper) screw terminal strip, the price for the basic module (no WiFi) remains at $80 + shipping, in spite of the additional functionality. Shipping is $10.00 for delivery via USPS with insurance anywhere in the continental United States, $25.00 without insurance for delivery to Canada. Contact me via email (see at the bottom of this page for link) if you live abroad. The USPS is very inconsistent with their prices, so I will quote each request based on specific quote from the USPS for your location. For example, shipping to Germany and Finland is $34.00, to Australia it is $35.00 .I anticipate shipping to most countries will be in that range, but with the US postal service, I prefer to check in every case. The USPS says delivery to most major markets is 6-10 business days. That has been my experience, even though if you are unfortunate to live outside of a major market, it could take much longer. Keep in mind the USPS is only responsible for the package until it gets to your country's customs department. For the remainder, your country's customs and postal service are responsible. Kit is delivered complete and ready to go. Packaging is up to you. No soldering required for setup or operation. Connections to Thunderbolt and power supply are through screw terminals. You provide the power supply, cables and connectors. Kit includes a ~1mS "PPS stretcher" for NTP or other applications not able to deal with the narrow Thunderbolt PPS pulse (10μS). Kit includes capability to send a self survey command without additional hardware or computer. Kit can be ordered with an optional WiFi module to provide TCP/IP access to your Thunderbolt via your wireless network. The WiFi module can be ordered later separately. If so, shipping charges will apply. Alarms and time mode (GPS, UTC, local, time zone) are user configurable via menu. Expansion capability through GPIO, I2C interfaces and an XBee socket for this or other applications. Provide and connect a DB-9P connector for connection to the Thunderbolt. The WiFi option allows the Thunderbolt Kit to become a server compatible with the Lady Heather Thunderbolt Monitor software. It consists of a small PWB that is soldered on the back of the main PWB. The WiFi module comes with a coaxial connector (type U.fl) and a small antenna that can be installed inside or outside a plastic enclosure (Figure 2a). If you want to mount the kit inside a metal enclosure, I recommend using a antenna better suited like the one shown in figure 2b. The WiFi option has otherwise no effect on the kit's operation, which can still be used to monitor the Thunderbolt via its LCD and menu while the server is running. The WiFi module can be operated with a fixed (static) IP address or with an IP address obtained via DHCP (the default for most home networks). 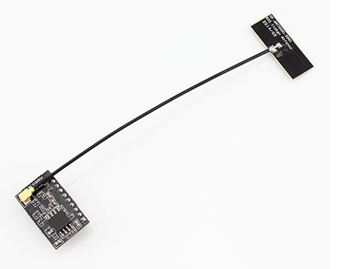 The WiFi module comes with a small PWB antenna and a ~4-6" coax cable which plugs into the WiFi module with a U.FL connector. 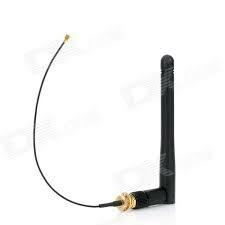 The antenna can be easily replaced with a chassis mounted dipole of the type widely available on eBay and other places which allows to mount the TBolt kit inside a metal enclosure while keeping the WiFi functionality. Aside from the method to obtain an IP address, the WiFi module has to be configured with the SSID and passphrase setup in your WiFi access point or router. The WiFi module is configured through the SoftAP feature. You only need a PC or tablet with WiFi to configure the WiFi module. The manual will have instructions to show you how to do that. The User's Manual for firmware version 4.2.2 is available here. There is a separate section for the WiFi module setup. Note that there are two similar WiFi modules, each has its own manual since the setup is different (but operation is the same). The original manual is here, the new manual is here. For users of the previous generation kit, a copy of the manual version 3.5.0 is available here. The processor used is the Silabs C8051F587-IQ. It has 96kB of flash memory, 8kB of RAM, two serial ports and lots of other goodies. This processor will allow much more powerful applications than the original TBolt Monitor. 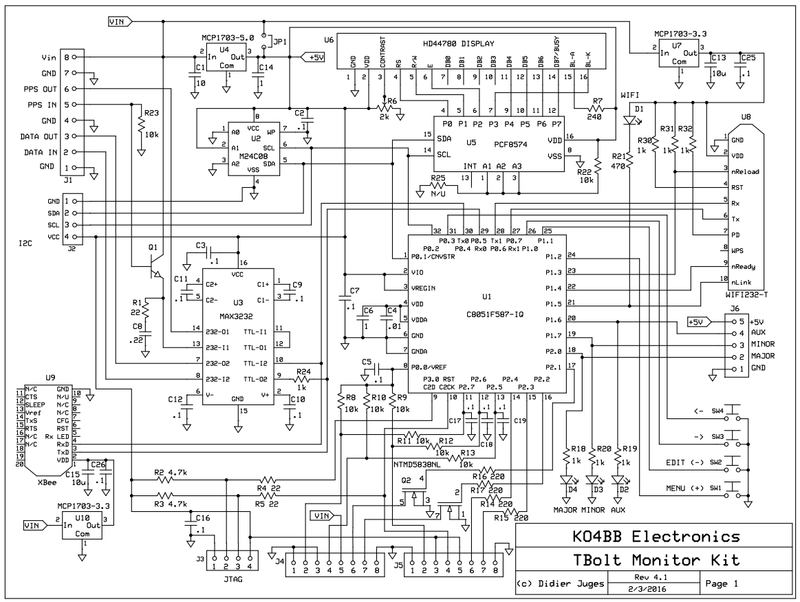 For reference, the original TBolt Monitor used a processor with 8kB of flash, and only ~25% was used. The kit supports a serial EEPROM used to store time mode (GPS, UTC or Local), time zone and other settings. See Notes at the bottom for more information. The schematic is shown in Picture 4. The blue trace is the voltage across the capacitor. 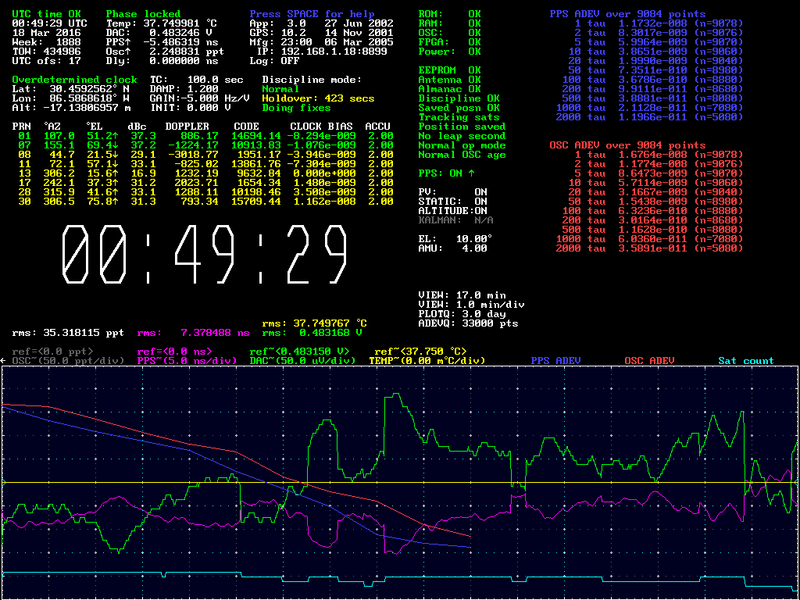 The purple trace is the output from the first stage of the MAX3232. The actual pulse from the production kit is a little narrower, around 1mS, still more than enough for NTP. Picture 6: The leading edge detail showing the ~500nS delay between Thunderbolt PPS output (yellow trace) and RS-232 output (green trace). Note that faster response is not necessary since this pulse will drive an RS-232 receiver in the computer, with similar characteristics. Please note that only the leading edge of the output of the PPS Extender should be used for timing application as the pulse width is not well controlled (temperature dependant). The pulse extender circuit is protected against PPS voltages as high as Vin + 5V and as low as ground. Exceeding these voltages may damage Q1. 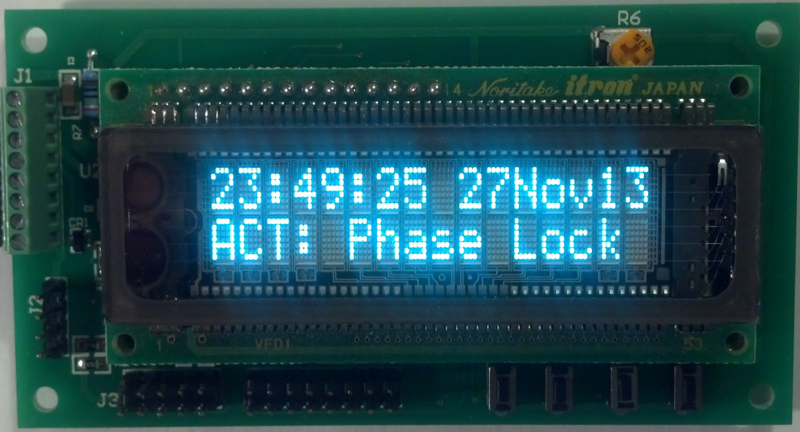 The kit will ship with a 2x16 blue display as shown in Picture 1. The interface is the standard Hitachi HD44780, which means many other types of displays can be used, including larger LCDs or Vacuum Fluorescent Displays (VFDs) like the one shown in Picture 7. The Noritake part shown in Picture 7 above is an almost exact fit for the stock LCD display, only the mounting holes are just a little too small for the (metric) mounting hardware coming with the kit, so you may have to file the holes on the display or use different hardware. However, not all HD44780 compatible displays have compatible dimensions or the physical layout of the connector may vary. Therefore if using a different display, you may have to wire it to the board instead of simply plugging it in. Finally, power requirements may vary. See the User's Manual for further information. To drive high current loads from the alarm outputs, I recommend using inexpensive relay modules like those shown in Picture 8, available on eBay. Simply search eBay for "relay module"
and date until July 30, 2017. There is no fool proof way to automatically correct the wrongful information, unless you have another independent source of accurate timing. Since that is usually not the case for a small system like the TB Monitor kit, we have to come up with a manual patch. The TB Monitor firmware version 4.2.0 has been upgraded by providing a new menu entry allowing you to select the epoch number applied to correct the date coming from the Thunderbolt. By default, this correction only applies to the time displayed on the LCD display. If you are using the WiFi option, the data stream from the Thunderbolt will be unaffected. The reason being that the GPS data stream coming from the Thunderbolt simply has no provision for the extra epoch information. The majority of the GPS satellites currently in orbit do not send that information either. The good news is that any software that will use the WiFi data (like Lady Heather), most likely will already have a correction routine since this software has access to the current approximate date/time through the computer's operating system. 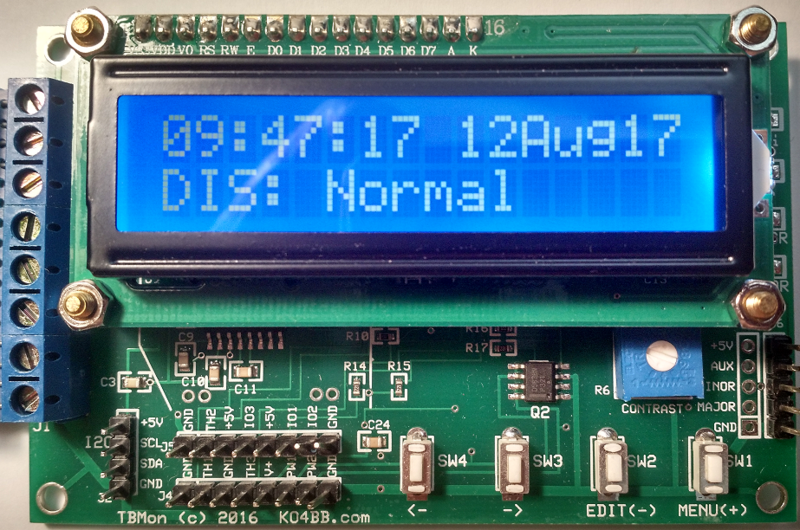 After the rollover of July 30, 2017, you need to flash the new firmware in your kit and use the menu to select the appropriate epoch. Detailled instructions are provided below. Firmware versions 1.3.1 and earlier (those that apply to the older form factor kit) can also be upgraded but the v1.4.0 firmware upgrade for those kits does not offer the new menu options, simply a fixed "1 epoch" correction factor which will carry you another 19.6 years after which you will be back to square one. New firmware versions ares available. Information about how to upgrade your kit is available below. If that link no longer works, search eBay for "U-EC6 adapter". Note that the adapter costs about as much as one way shipping for the kit in the continental US, or half your cost if you are planning to return the kit to me for firmware upgrade. 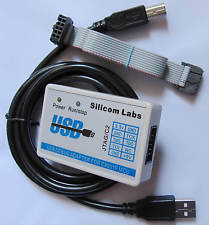 The adapter works with the Silabs Production Programmer software, available on the Silabs web site. You need to register and the current version is a large download. Alternately, I can provide you with a copy of the previous version of the Production Programmer software with the firmware. It is a much smaller and simpler package. 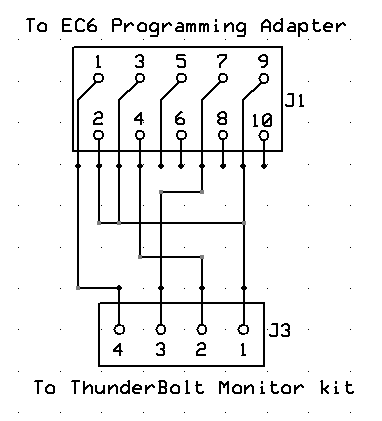 The EC6 Programming adapter has a 10 pin cable while the latest TBMonitor kits have a 4 pin header for programming, so a simple Adapter Board is needed. In addition to this PWB, you also need a 2x5, 0.1" pin header (to plug into the EC6 cable) and a 1x4, 0.1" socket header (to plug into the kit's J3 header) of the type used with the Arduino, Raspberry Pi and other projects. Make sure the headers are installed on the correct side. Refer to the silkscreen. The markings J1 and J3 are on the respective side of the plastic header. For J1, pin 1 corresponds to the red wire on the EC6 Adapter and pin 1 on J3 is ground, on the right side of J3 on the kit board, near the mounting screw. The older kits (those with firmware version 1.3.1 and earlier) do not need the Adapter Board, only the EC6 programming adapter. When upgrading one of these older kits, the 10 pin cable from the EC6 adapter plugs directly into J3. The red wire will be to the left. To obtain the hex file ready to be programmed, send me an email preferably using the email address you used to originally purchase the kit (that would be your Paypal email). Make sure to indicate which firmware version you currently have. Please note that your settings will revert to default after the firmware update. Also note that changing the Time Zone setting has no effect unless Local Time is selected. You will need to send me the kit and pay for return shipping. I have been using the USPS Priority Mail 2-Day™ Small Flat Rate Box and I suggest you do the same. The cost is $7.15 + insurance so I would expect a payment of $10 via Paypal to didier_juges@yahoo.com for return shipping. I will send you the address where to ship the kits via return email. v4.2.2: fixes error in the date calculation routine. This version is required regardless of WiFi option. The LCD may become corrupted. The kit still functions (data is fed through the WiFi connection) but the display is unusable. The fix is to recycle power to the kit (one user reported this problem, I have not observed it). The Thunderbolt itself may report an error. The error does not clear itself until power to the Thunderbolt is recycled. This is of course a more serious problem (3 users reported this problem, I have observed it). These problems only occur when the WiFi link is actively polled by Lady Heather. It may take several hours or many days of continuous operation before either problem shows up. Disconnecting the Tx line from the kit to the Thunderbolt (pin J1-3) seems to solve the second problem while reducing the amount of information that is displayed by Lady Heather. I have not observed the first problem (LCD) but I have observed the second problem (Thunderbolt fault) a couple of times. I am working on these problems and will update this page when I have more information. Note that it takes sometimes several days to see the problem so it is very hard to identify, harder to isolate it and develop a fix and even harder to make sure it's been squashed, so this may take a while. In the meantime, if you use the WiFi option, I recommend disconnecting J1-3 to avoid affecting the Thunderbolt. If you do not have or use the WiFi option, you are not affected. For reference, the kit I used to develop version 4.2.2 has been running continuously since August 22, 2017 (aside from power interruptions). It is permanently associated with my wireless router but only occasionally accessed through Lady Heather and has been working fine since then. A user (Leon) reported that he had success with Lady Heather version 6 (beta) available on the eevblog web site. If anyone else has tried, please let me know. The most useful information to assess the Thunderbolt's operation rests in the alarm messages. If there is no alarm, the Thunderbolt operates under nominal specified conditions, and that is the best we can tell without external instrumentation. The PPS extender is designed to work with the Thunderbolt receiver which provides a 0-5V, 10μS pulse. 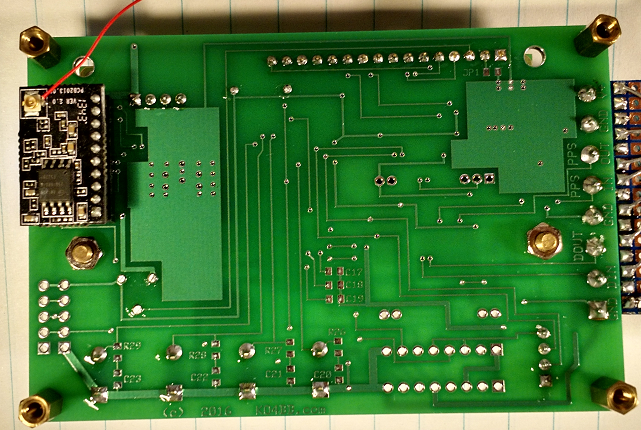 Other GPS receivers may have a different PPS pulse and this circuit may or may not work. You can use my Thunderbolt Simulator software to verify operation of this or other Thunderbolt monitoring device. Check the Lady Heather software for Thunderbolt monitoring and control, by John Miles/Mark Sims and other contributors. Eliminate the sporadic issues with the WiFi module experienced with the previous design. The problem did not occur often enough for effective troubleshooting but it was correlated to the processor being very busy with decoding the TSIP packets for display and moving data between the two serial ports (one connected to the Thunderbolt and the other connected to the WiFi module). In restrospect, it was not a very good design choice. The new design eliminates entirely a class of problems by routing the data directly from the Thunderbolt to the WiFi module instead of through the microcontroller. As all previous kits have worked flawlessly when not connected through WiFi, I expect the same performance now with or without WiFi. Be a platform for me to improve my proficiency with the ARM Cortex architecture. I have been working with ARM Cortex chips from NXP for several years but I felt the support was not very good and they are not as widely used so less information is generally available. The new kit will use a ST Micro STM32F103C8T6. The prototype with the new processor has been working for a few days. It has all the features of the previous kit. The increased horsepower of the ARM chip may make additional features possible, like a sidereal time option.